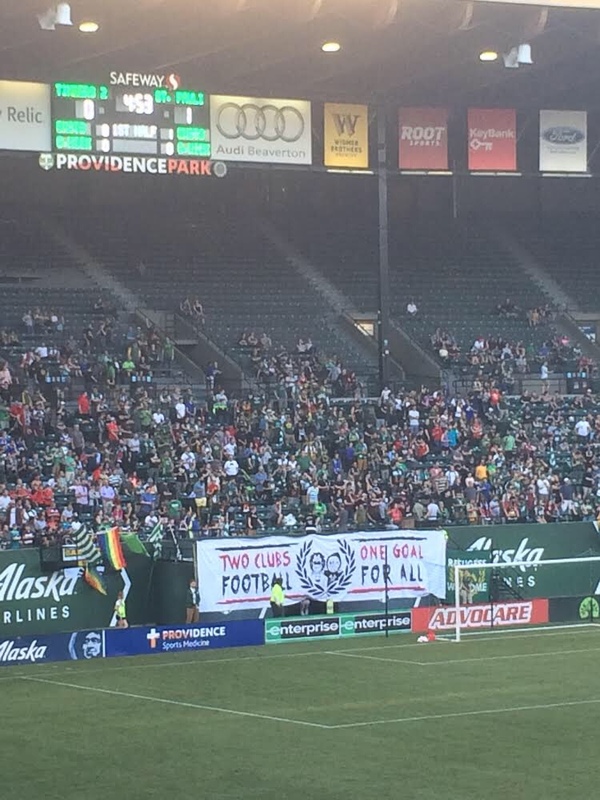 I had been looking forward to visiting Portland and the legendary Timbers Army for years. Just knowing a little bit about the football fan scene in Portland is enough to make any St. Pauli fan interested. They have a reputation for passionate support of their teams and their community. They famously support their women’s team on an equal footing with their men’s team. And they even have a Fanladen, modeled and named after St. Pauli’s, as a community center built around the fan base. 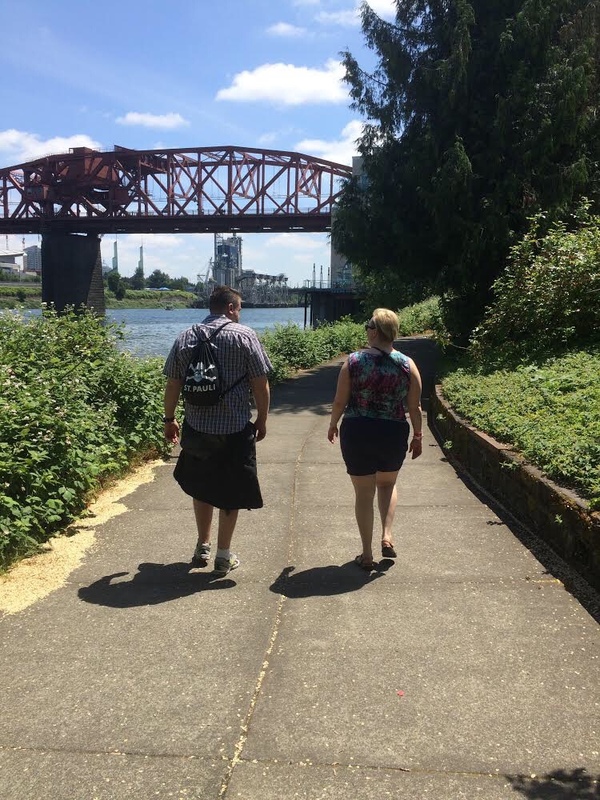 So I wasn’t at all surprised when a few weeks before the match, Todd, a friend of a friend who is active in the Timbers fan scene, reached out to offer places to stay for any traveling supporter who didn’t want to pay for a hotel. He set up me and Calgary-based Shawn and Samantha from the Fell in Love With a Girl Podcast in a lovely house not far from the city center. After the jam-packed excitement of Detroit, it was lovely to have two days to just relax and explore Portland. The weather couldn’t have been nicer, and we tried to take advantage of it by being outside as much as possible—riverside wandering, brewery roof decks, and a cookout with our hosts, some other Portland fans, and a few of the visitors from Germany. The team delegation also seemed to have a little more time to relax. Tuesday matchday we packed our flags into the car of another Portland-based St. Pauli supporter, Joshua, and headed over to the Fanladen in the early afternoon to meet members of the St. Pauli delegation and get an official tour. The Fanladen was packed with people eating pizza, drinking beer and cider, and trading patches and stickers. 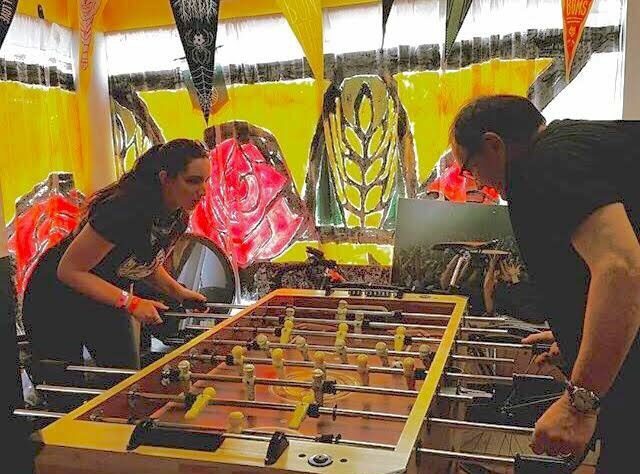 We had just enough time for a game of foosball with Ewald Lienen (he won, of course) before heading over to the Tifo Warehouse across the street for a tour. 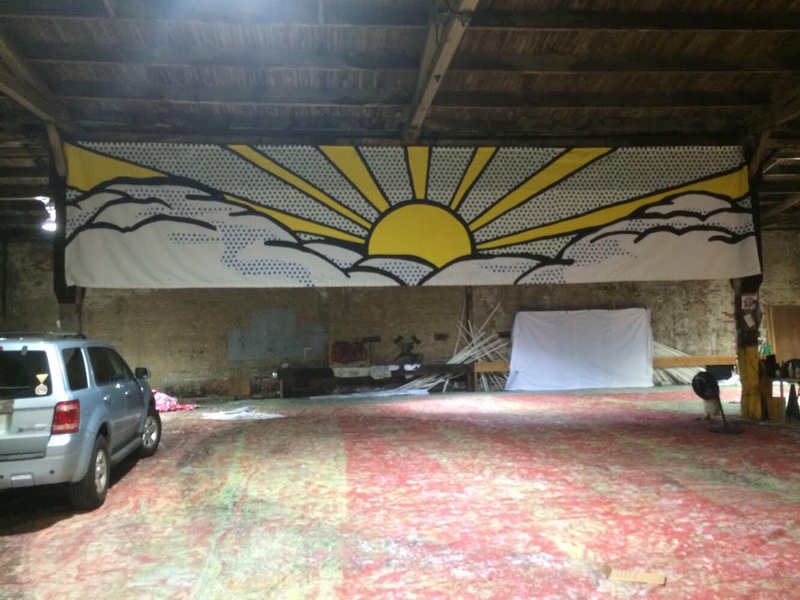 The Tifo Warehouse is impressive—a massive space with enough room to lay out enormous pieces of canvas all over the floor. 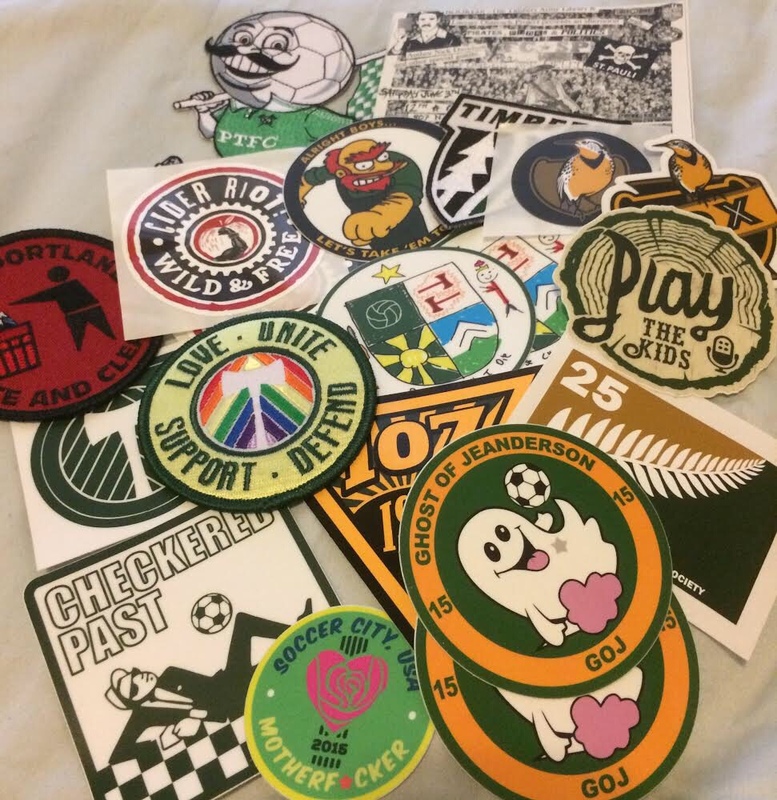 The friendly Timbers supporters showed us around and showed off some cool designs from recent matches. And then it was time to walk over to the stadium! We built a small but mighty cheering section behind the away-team bench. With such a small group, we felt an even stronger connection to the team, and the players would wave up at us when we cheered at them. There were supporters from Germany, the US, Canada, and Mexico and we had a great time teaching each other songs in different languages (we’re gonna get a Spanish song into the Millerntor one of these days! Vamos!) 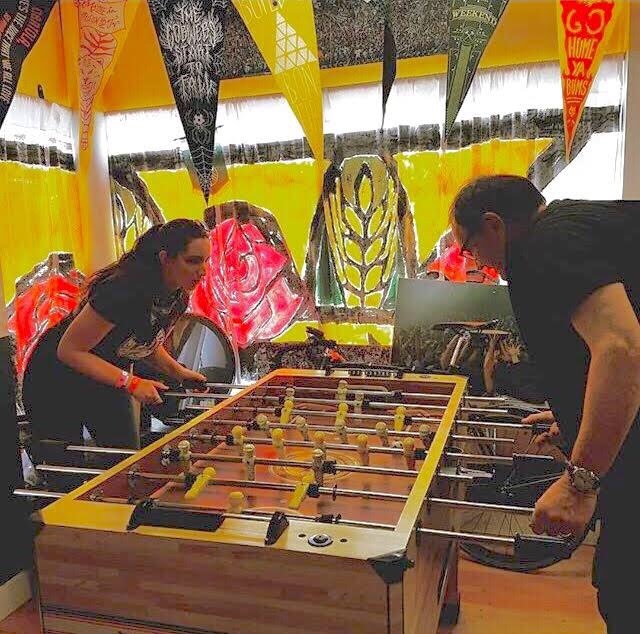 The foreign visitors had less of a good time with an Oregon law that only lets you buy two beers at a time, and with the high beer prices in US professional sports stadiums, but it didn’t dampen anyone’s enthusiasm. People were worried about the number of tickets sold to the match, but while I never heard an official number, I will say that Providence Park certainly didn’t feel empty. The game play was lively overall, with good chances and good saves on both sides. And it was fun to see a couple of T2 players who we recognized from when they used to play for New York Cosmos. About 15 minutes before the end of the game, a parade of Timbers Army folks marched over to our section with flags and drums and led us back to the supporters’ section behind the goal with them. Along the way, beers were handed down out of the executive boxes and a path was cleared to the front of the section. We joined in some of their songs, and they sang for St. Pauli along with us at the end. This was around the same time that there was a bit of a scuffle on the pitch, and a player on each side wound up with a red card. We all joined together to remind the players that “It’s a friendly,” and the game ended shortly after that in a 2-2 tie (the less said about the incomprehensible penalty shootout, the better). Letting us end the match with them in the away section was a great gesture from the Timbers Army, and helped the match end on a high note, for the supporters at least. This felt like the biggest difference between the experiences in Detroit and Portland. In Detroit, the entire organization from the owners to the fans welcomed us with overflowing enthusiasm about the friendly. In Portland, the enthusiasm was grassroots, direct from the fan community. We also had more of a chance to get to know the Portland fans one on one, since we were in the city longer. And the majority of the fans we met were happy to treat the occasion like a big party. The afterparty at a cool venue called Cider Riot! was organized by Abe, a Portland supporter who is also a big St. Pauli fan. There was cider, of course, and some great DJs, and we ended the night yelling Timbers and St. Pauli cheers back and forth across the bar at each other and laughing a lot as the poor servers tried to give last call and encourage us to finish our drinks and leave. This whole US tour was a crazy adventure, and I’m so grateful for the chance to make connections with lots of like-minded fans from around the world. There is a growing number of football fans who believe that supporting your club goes hand in hand with supporting your community and being able to find each other and talk about our efforts, helps that passion grow. It’s experiences like this weekend that give me hope for the future of the beautiful game in North America and everywhere.